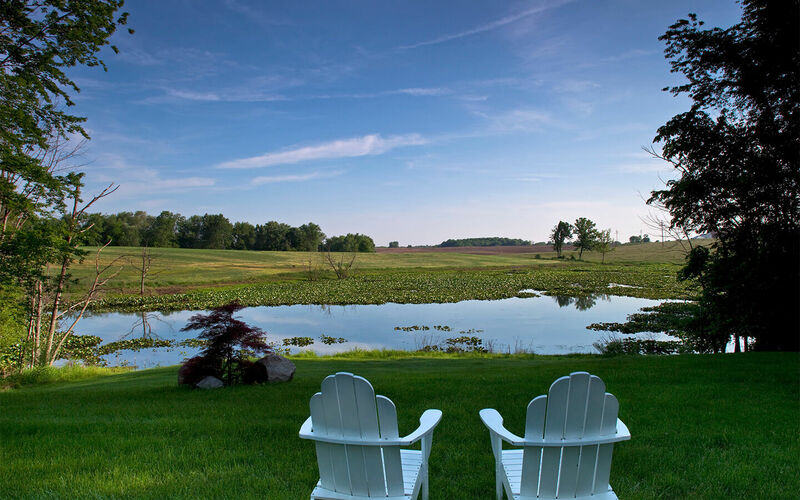 Fenn Valley Winery Tour at our Michigan B&B! The first weeks of August remind us that fall is just around the corner. Soon the leaves will begin to change into beautiful shades of reds, yellows, and oranges, and before you know it, apple and pumpkin picking will be one of our recommended activities when staying at our Allegan bed and breakfast. We have a few special treats in store for you when you book your Fall Weekend Getaway at Castle in the Country Bed and Breakfast Inn. 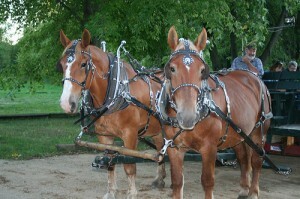 The change of seasons brings about the return of the FREE horse drawn wagon rides every Friday Night from 6:00-8:00 p.m. September 14th-October 19th, 2012. We’ll have Herb’s homemade appetizers and Sparkling Cider Mimosa outside on the deck by the fireplace and our guests will be able to take a wonderful horse drawn wagon ride through our 65 wooded acres. Bring your warmest, coziest jacket, and expect a great Friday night appetizer gathering. Spend the rest of the weekend enjoying nearby Crane’s Pie Pantry, scouting out the best antiques at Blue Star Pavilian in Saugatuck/Douglas area or enjoying a lazy afternoon at one of the area’s best Craft Beer Brew pubs; Saugatuck Brewing Company, New Holland Brewing Company, or Bell’s Brewery in downtown Kalamazoo. 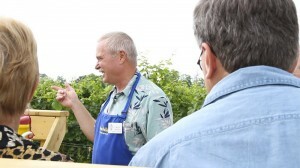 On Saturday or Sunday afternoons in the harvest season, Fenn Valley Winery and Vineyard holds extended tours. Lucky participants of the popular tour take a wagon ride with the vintner/owner to taste the grapes and their Award-winning Wines as he explains the process of tending the vineyard & wine making. To make it a little easier for our lodging guests to join in on this marvelous, always sold out event, we’ve purchased a limited amount of tickets for the tours throughout September and October 2012. So, after booking your Fall getaway here at Castle in the Country, ask our Innkeeper about reserving your extended tour tickets today! 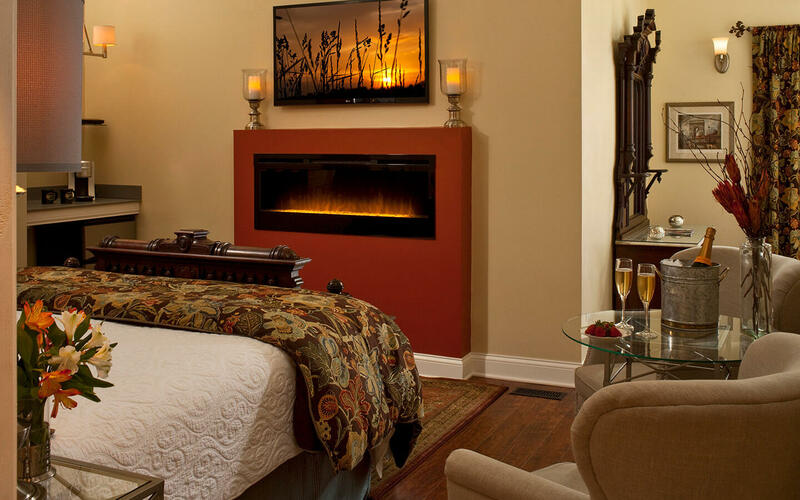 All perfect reasons to book your Fall Getaway Weekend here at Castle in the Country B&B Inn. 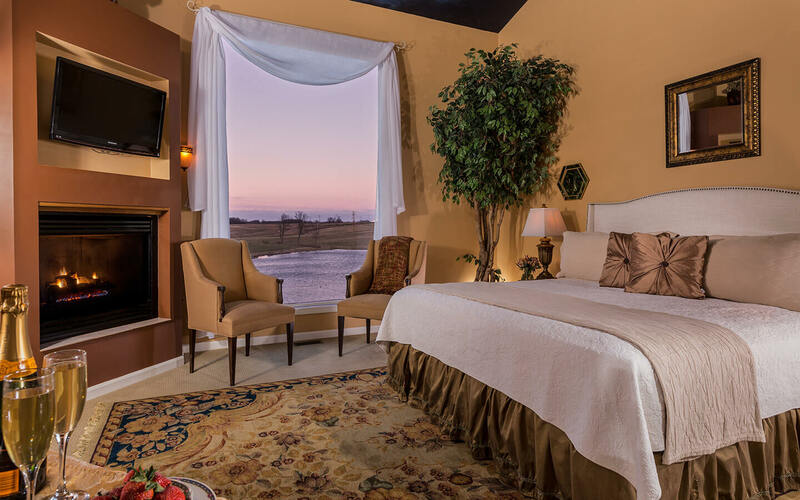 Call 1-888-673-8054 between the hours of 10:00 a.m. to 7:00 p.m. (eastern standard time) daily or visit our availability calendar at Castle In the Country anytime for real time availability.